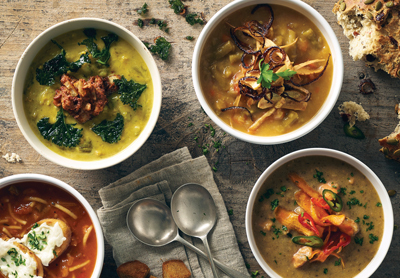 Foodservice wholesaler kff, with branches in Aylesford, Kent, and Witney, Oxon, has launched a range of vegan products, featuring meat and dairy-free dishes and including starters, mains, cakes, desserts, dairy alternatives and sauces. Among several ‘indulgents’ are a salted caramel brownie and a cashew nut paella. Flavours include Italian classics, Indian and Punjab spices, as well as a twist on the classic British roast dinner. Also in the kff vegan range are ‘Moving Mountains’ plant-based burgers, with mushrooms, wheat and soy proteins, Quorn fishless fish fingers and soups. Managing director Chris Beckley said: “Vegan and plant-based diets were increasingly in demand throughout 2018 and into 2019.